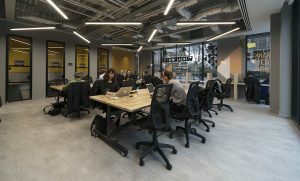 Work.Life Hammersmith opened in January 2018 and they partnered with Upstream to bring Silicon Drinkabout to (wild) west London for the first time in May 2018. What if we told you, you could have business success without sacrificing your personal life? by providing vibrant spaces where you can feel both happy and inspired. Be yourself inside and outside work. Because life’s too short.